Can be installed in different angles, can easily cutting out line arc and circular waves. Can cut off usual materials such as metal wood plastic rubber ceramic tile and other hard matters. 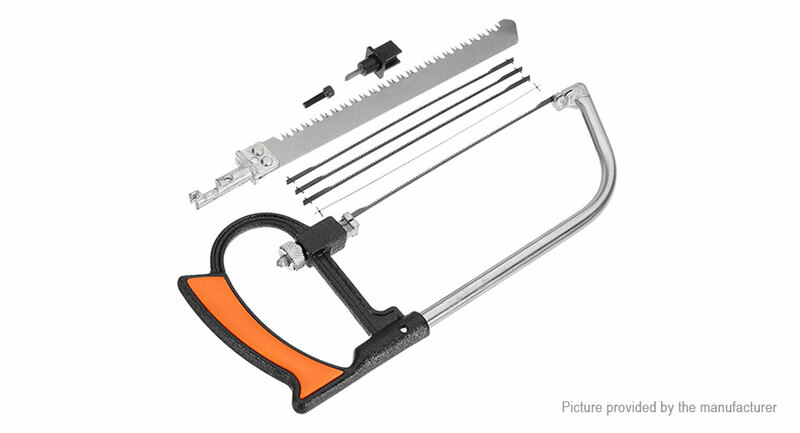 The saws are made of high quality steel, can be easily installed and changed. The hacksaw set is a necessary repair tool in daily life.